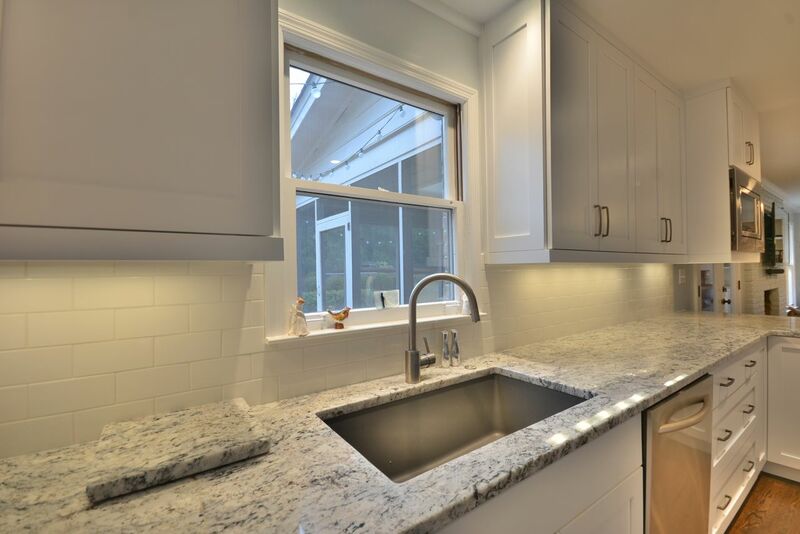 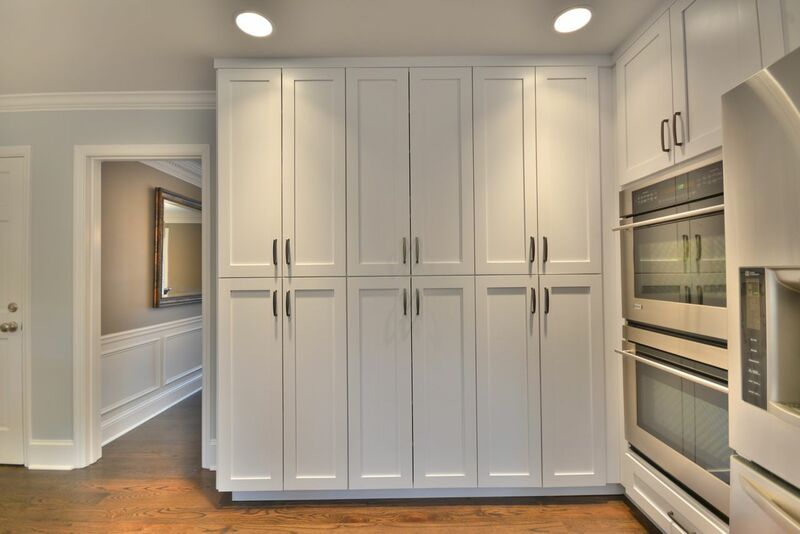 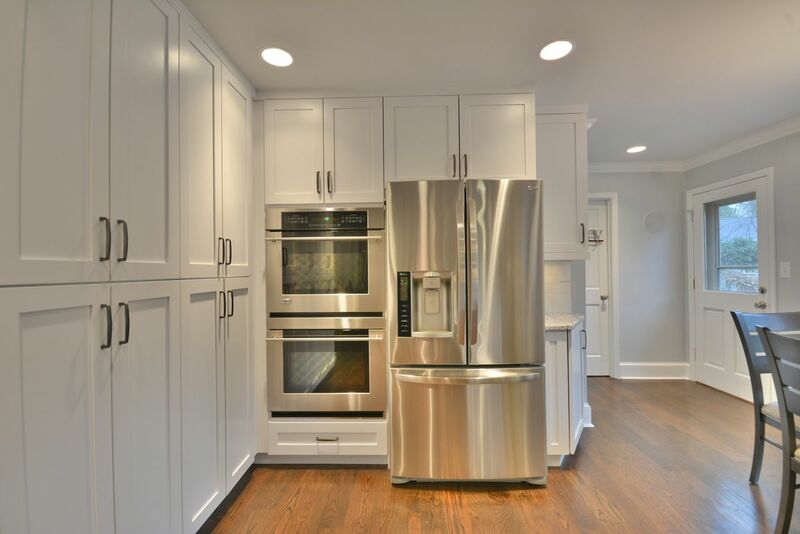 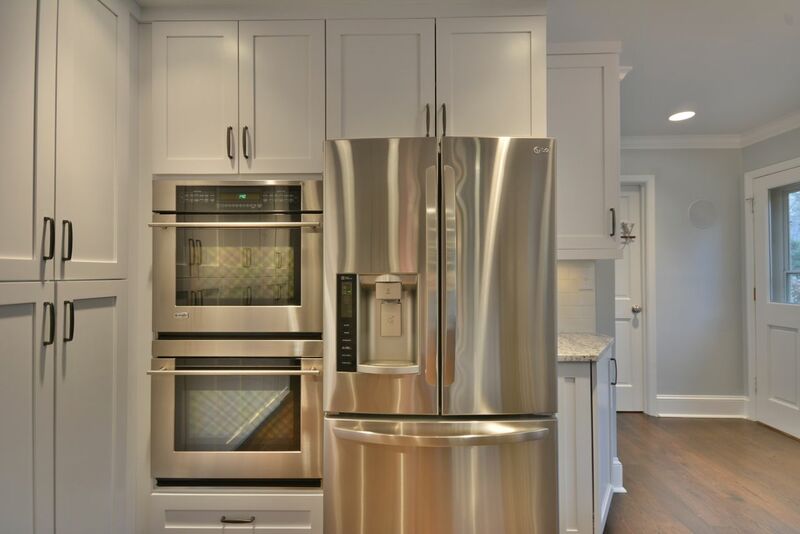 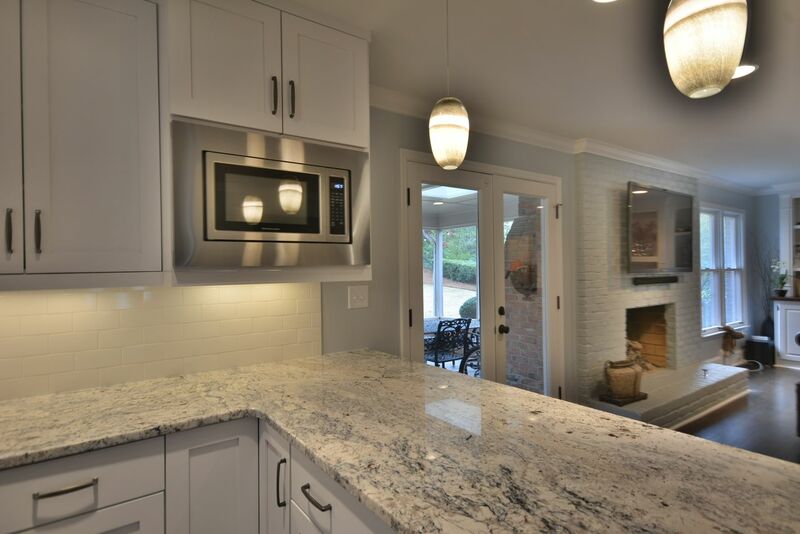 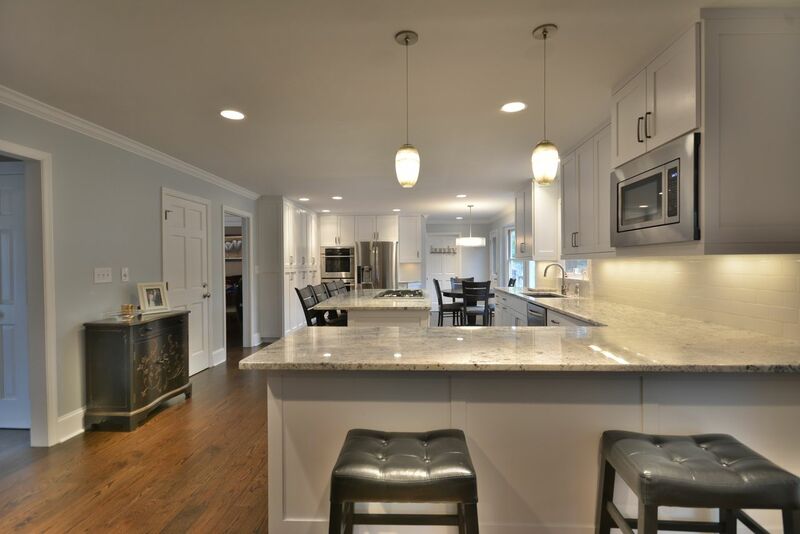 The home owners were looking to cost effectively open up their tight, inefficient and compartmentalized kitchen so they would have more room for cooking and entertaining family and friends. 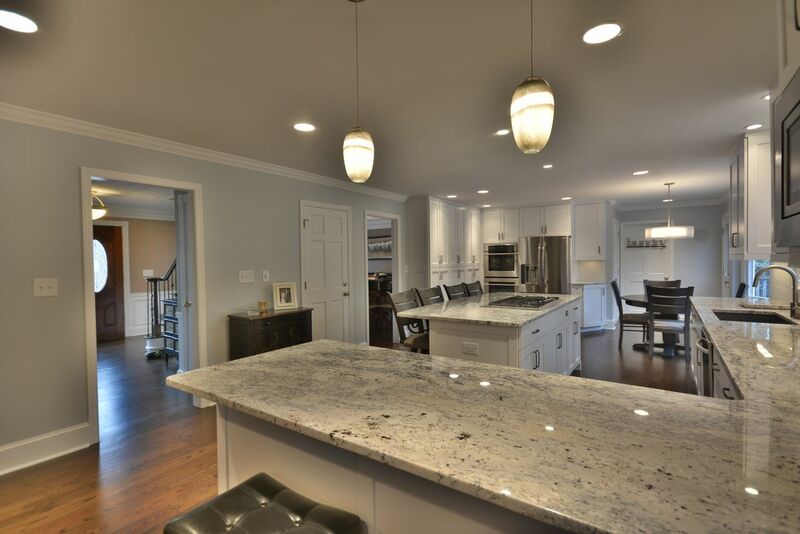 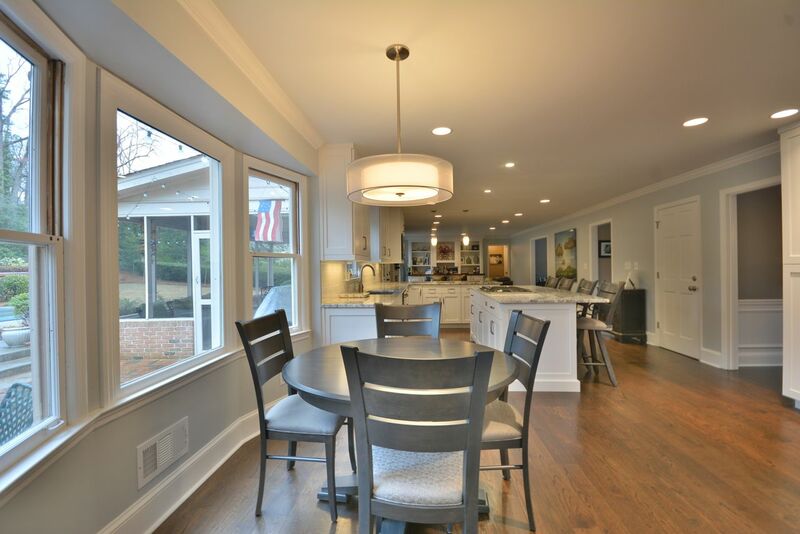 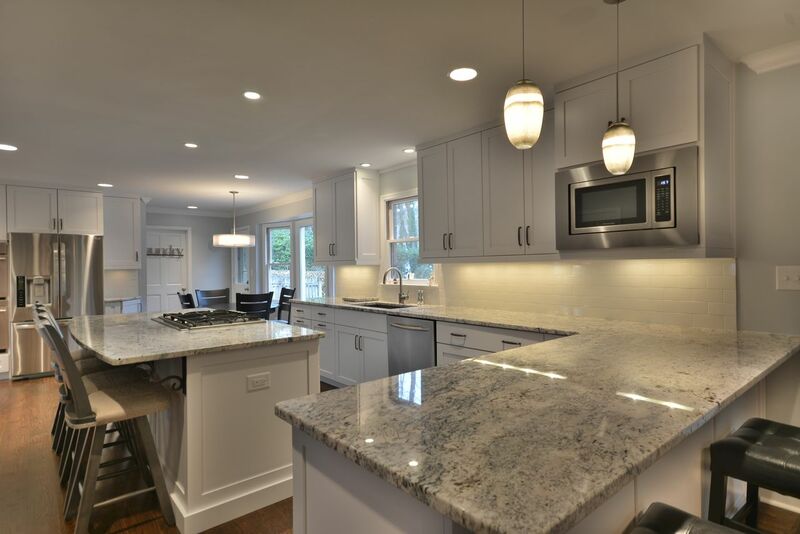 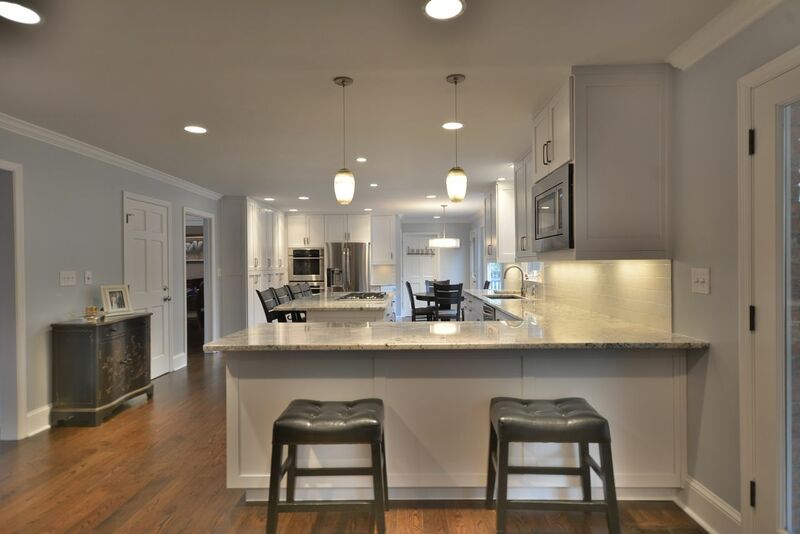 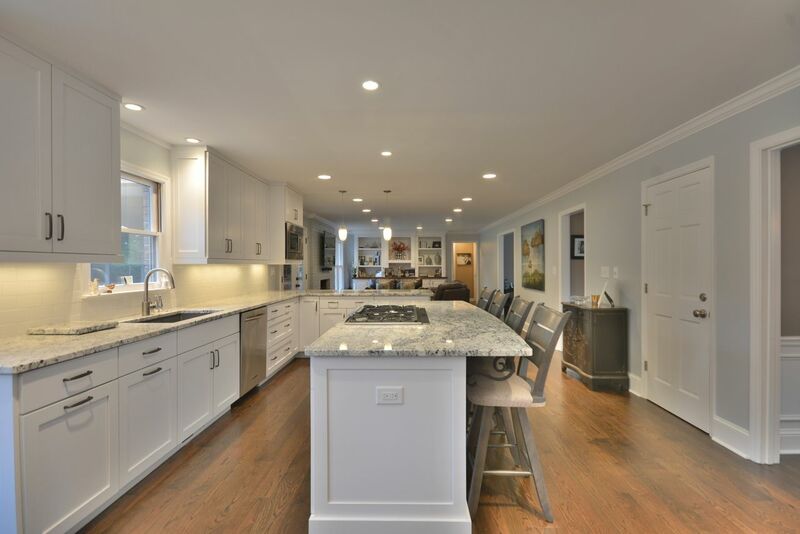 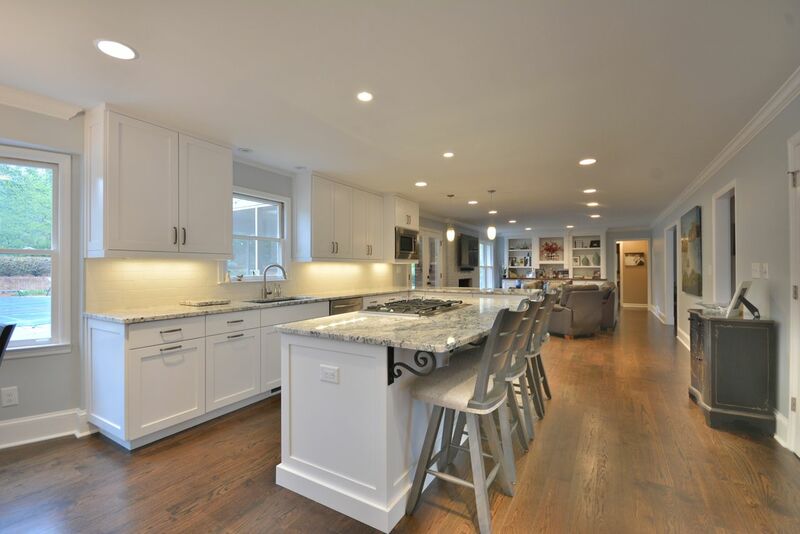 The main focus of this design was to open the kitchen into the family room and have a large island with plenty of pantry, storage and prep space for cooking and serving. 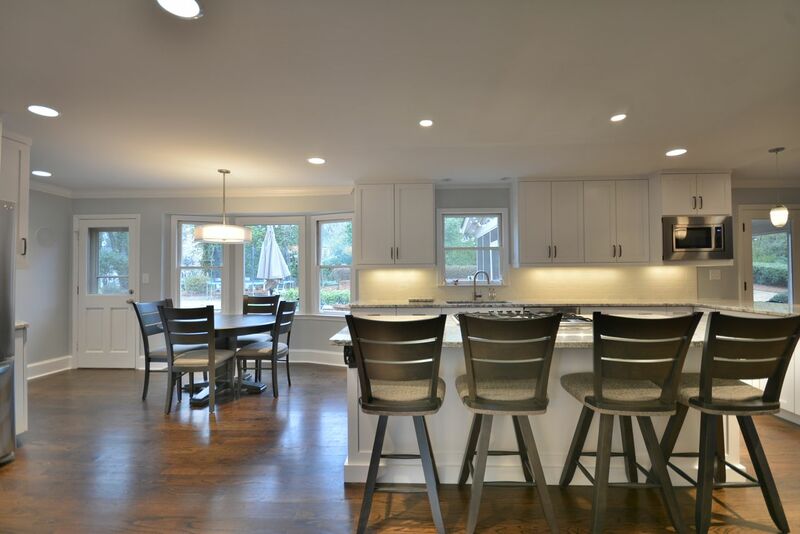 The result is stunning and functionally remarkable large open space where the family spends most of their quality time.